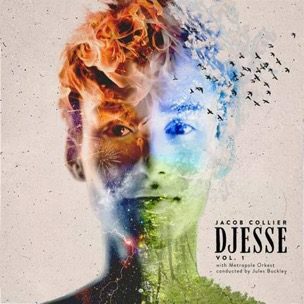 10 December 2018 (Toronto, ON) - Jacob Collier has released Djesse – Volume 1, the first ten songs of his highly ambitious 40-song, 4-volume new project that will come out over the course of the next year via Hajanga Records in exclusive license to Decca/Geffen/Universal Music Canada, the country’s leading music company. Volume 1 is a dazzling collaboration with storied Dutch ensemble Metropole Orkest under the direction of Jules Buckley and features Voces8 (on the stunning opening choral piece “Home Is”), Take 6, Laura Mvula and the Moroccan gnawa musician Hamid El Kasri. Listen to Djesse – Volume 1 HERE. In the lead up to today’s Volume 1 release, Jacob unveiled the music video for the lead single, “With The Love In My Heart” - a whimsical maze of mirrors filmed in Japan that captures the spirit of all that Djesse has to offer. Watch the video for “With The Love In My Heart” HERE. Last weekend Jacob performed three songs on Live From Here hosted by Chris Thile, a public radio show listened to by millions each weekend. His performances included a version of country standard “Tennessee Waltz” on his harmonizer and a solo piano take on “Ocean Wide, Canyon Deep” from Volume 1. Watch that performance HERE. He also recently performed at the Spotify Secret Genius Awards in L.A., and announced a sprawling international tour playing his biggest venues yet that will feature his first proper full band live shows. The U.S. run begins March 1 in Boston and includes NYC’s Irving Plaza March 2 and L.A.’s The Fonda March 15. The 4-volume Djesse was written, produced and engineered by Collier, composed during 2018 and features contributions from a global cast of his musical inspirations. Jacob Collier is largely self-taught, and the viral YouTube videos he began posting from his London bedroom caught the attention of Quincy Jones and made him a star. He won two GRAMMYs and a Jazz FM Award for his 2016 debut album In My Room. His quick rise led to collaborations with Herbie Hancock and Hans Zimmer, a performance with Pharrell, a Ted Talk, even the recomposition of Samsung’s ringtone. He made his BBC Proms debut in July.